REPORTS that Nissan will abandon plans to build its X-Trail model at its Sunderland plant are ‘deeply troubling’, an MP has said. According to Sky News, the company will confirm the move to cancel plans to build the new version of the SUV on Monday, just 53 days before Britain is scheduled to leave the EU. Nissan had voiced concerns about Brexit before finally committing to build the new Qashqai and X-Trail models in its north-east factory in October 2016, four months after the EU referendum. Bridget Phillipson, Labour MP for Houghton and Sunderland South, tweeted: ‘If confirmed, this would represent deeply troubling news for the north east economy. In a statement posted on Twitter, Labour Sunderland Central MP Julie Elliott said ‘the downturn in the diesel market is what is being blamed’ for the decision. ‘I will be doing everything I can to protect the jobs at the Sunderland plant. I will be asking for the government to intervene, and will stay in close contact with the company itself,’ she said. She said she would update constituents with information once she finds out more, and that ‘we must await official announcement from Nissan for the plans’. At the time, the decision to build its next-generation Qashqai and add production of the new X-Trail model at the site had eased concerns about the future of the north-east factory after Brexit. It secured thousands of jobs in the Brexit-backing city, but prompted a volley of questions over whether a so-called ‘sweetheart deal’ between the car-maker and the government had been struck to protect the manufacturer from any post-Brexit EU tariff wall. Ministers strongly denied any financial incentives were offered and chancellor Philip Hammond said any costs arising from the assurances would be small enough to be covered within the Department for Business’s existing spending limits. 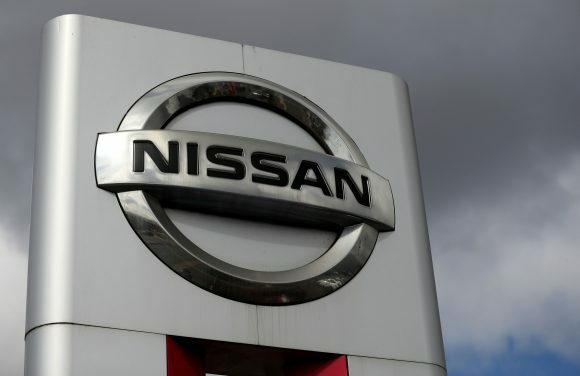 Nissan is part-owned by French manufacturer Renault, which had led to concerns that production could be moved to France to avoid any tariffs that might be introduced on exports to the EU if the UK leaves the single market in a hard Brexit. According to Sky News, Nissan’s decision is not expected to have a major impact on jobs. The U-turn comes as figures show car production slumped by almost a tenth last year, leaving the industry on ‘red alert’ amid continued Brexit uncertainty. A report by the Society of Motor Manufacturers and Traders (SMMT) said investment had effectively ‘stalled’ amid fears over the UK’s future trading prospects with the EU. Just over 1.5 million cars left UK factories in 2018 – a 9.1 per cent decline on the previous year, and the lowest for six years. Production of diesel cars was down by 22 per cent to 561,000 last year. SMMT chief executive Mike Hawes said the fall in investment was ‘deeply depressing’ and should send a strong signal to politicians to secure a Brexit trade deal. The reported decision by Nissan follows a triple jobs blow in the UK car industry. American car manufacturer Ford has confirmed nearly 400 jobs will be lost at its engine manufacturing plant in Bridgend. The company said the ‘voluntary separation programme’ at the Welsh factory is needed to cut costs and create a ‘sustainably profitable business’ in Europe. It followed a similar move by Jaguar Land Rover to reduce its 44,000-strong workforce by 4,500 under plans to make £2.5 billion of cost savings.